Kingston Chamber of Commerce have 8 exclusive Gold Sponsorship opportunities for members. Perfect for businesses looking to work closely with the Chamber and raise their profile in the business community. Find out more about becoming a sponsor or take a look at the other opportunities specifically designed to showcase your business to your target market. We all want to grow our businesses and get noticed. Perhaps you want to encourage new members, have a conference to promote or need to re-invigorate your brand. With today’s background noise, how do you stand out from the crowd? Well-designed creativity can make complex information memorable and easier to understand; combined with our service-orientated approach, we bring measurable benefits to our clients. Direct Colour Ltd is a progressive B2 Lithographic and HP Indigo Digital print supplier. We offer on site finishing, reprographic and design capabilities. All clients, whether existing or prospective, are welcome to visit our premises at any time. We supply print and finishing to the very highest standards. Investment in the latest Heidelberg printing technologies enables consistent quality results delivered on time. IQ in IT is a local award-winning IT Service provider offering complete IT products and services for SME's and Corporates. Our main products are Cloud Computing, Internet connectivity, Business IT support, IT relocation, Security, Backups, Disaster Scenarios and many more bespoke IT solutions. We are based in Kingston and close to Richmond and London. Then take a look at ABLE – the peer-to-peer learning group where members help and support each other to overcome those challenges leading to better decision-making and accelerated business results. To discover more, request a complimentary one-to-one meeting with CEO Peter Lynagh. We specialise in Counselling, Psychotherapy, Clinical Psychology, Cognitive Hypnotherapy and Transformational Coaching. ‘Talking Therapies’ facilitate recovery when challenging life situations, psychological or relational problems impair daily living or erode our happiness. We have a wonderful team of professionals offering private assessment and treatment in an environment of comfort, safety, understanding and confidentiality. We help people of all ages and abilities to master their life struggles and reach their full potential. 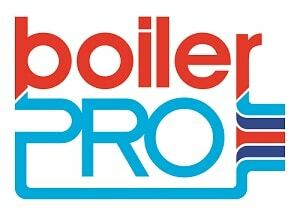 boilerPRO Limited are a local, family-run Plumbing & Heating business, that sets itself to be, just better!.. Customer service, communication and transparency are key strengths, and our engineers are skilled, contentious and tidy. We genuinely care about our customers, and it’s why we are their first choice, and why they keep coming back. boilerPRO offer Plumbing, Gas & Minor Electrical services, as well as carry out all the required Landlord Safety Checks, inc. Electrical Safety & Legionella Awareness reports.